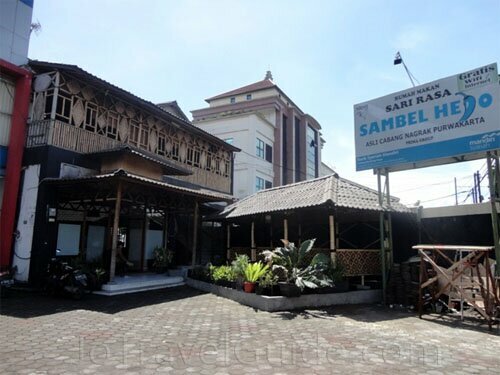 RM Sari Rasa (Sambel Hejo) specializes in Sundanese dishes. Their most favorite menus are "cimplung" (made from potatoes), "moist chewy" fried chicken, and green sauce made from green tomatoes and cayenne pepper. 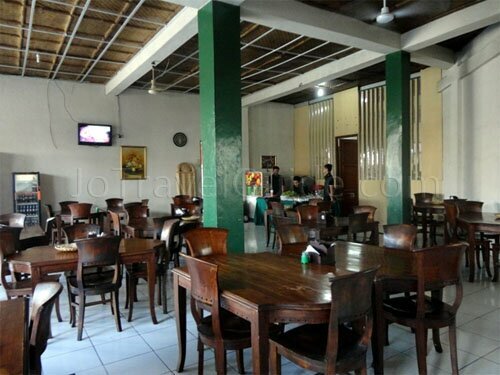 All food will be presented directly to guests' table, as in restaurant Padang. (Guests will be charged for any food taken only – don't worry, you will not pay all dishes presented on your table!). Click the picture above for more and bigger photos of Rumah Makan Sari Rasa (Sambel Hejo). This restaurant occupies 2-story-building. The first floor has a capacity of 50 people and the second floor can accommodate up to 70 people. 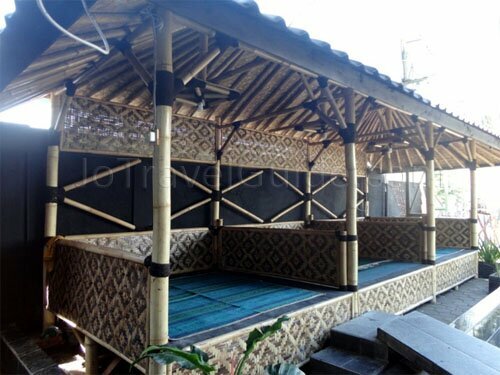 In addition, RM Sari Rasa has also lesehan (sitting on rattan mats on the floor) area.